Protein is one of the “big 3” macro-nutrients that’s so important for your body. It’s the major component used in building and repairing muscle and it’s very satisfying so it effectively kills hunger. When it comes to losing weight, keeping and/or building muscle is something you WANT to do! Muscle is the main place in your body where calories are used. If you don’t get enough protein to keep the muscle you got, you will slowly lose it. So get the most BANG for your buck! You want to feed the muscle, in order to burn away the fat! You have got to have enough to build muscle! Alison Gosby, PhD, a postdoctoral researcher at the University of Sydney says, “Protein and weight control may go together”. Gosby conducted a study where she asked a group of men and women to eat different amounts of protein. She found that when the percentage of this nutrient in the diet dropped from 15% to 10%, the men and women ate MORE foods containing carbs and fats! 15-25% is a range usually recommended. Depending on the person, this can range anywhere from 12-30 % of your daily food intake. In the book, Dr. Bob Arnott’s Revolutionary Weight Control Program, by Dr. Bob Arnott, presents the following chart to help you determine your intake. Find the weight you want to be on the left, then your activity level across the top. Where they intersect is the approximate number of GRAMS you should be taking in daily. Level 1: You are sedentary; do light weight training or less than 40 minutes of aerobic activity per day. Level 2: You are a seasoned bodybuilder who trains four days a week. Level 3: You are a serious aerobic athlete training 60-90 minutes a day. Level 4: You are just beginning a program of building substantial amounts of muscle and plan to train at least four days a week. Level 5: You are a professional athlete. Now that I showed you all of these fancy numbers and percentages do not feel overwhelmed and think that you have to start counting every calorie and gram. Use these numbers as a guide – if you have no idea how much you currently take in on a daily basis, then it may be a good idea to keep a food dairy for a few days. How much is in what?? Here’s some examples…. If you get used to eating it with every meal and most snacks, you will probably be getting all you need! And once you get a feel for the amount in the foods you normally eat, you won’t have to think about it anymore! #1: When you wake up. Let it be the first thing you eat in the morning. It will wake you up and get your metabolism going! #2: Right after you exercise. Your muscles are “hungry” and will absorb more of this muscle-building nutrient right after you work out. Protein shakes, because it's in liquid form, is a great way to quickly get it and other nutrients in your body when you wake up or after working out! Percentages refer to the part of your daily caloric intake. 15% would mean 15% of the calories you take in would come from protein. One gram of it is about 4 calories….So if you were aiming for a 15% intake and you were on a 2,000 calorie/day diet, it would look like this: 2,000 x .15 = 300 calories; 300/4 = 75 Grams. Or you can reverse it. Let’s look at the table above….if you weigh 140 pounds and your activity level is 4, the recommendation is 108 grams. 108 x 4 = 432 calories. This means you are getting about 432 total calories from the 108 grams of protein. Click here to find out how to decode a food label! It is harder to digest….and that’s a good thing! The act of digesting food takes energy, which means burning up calories! When you digest it, you burn about 25 calories for every 100 calories of protein you eat. Compare that to only about 10-15 calories for every 100 calories of fats or carbs. 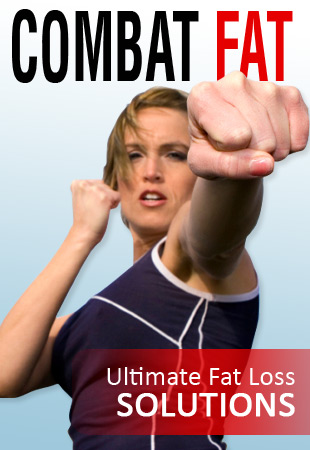 Lose twice the abdominal fat! In a Danish study, 65 subjects were put on either a 12% or a 25% diet plan. The 12% group lost an average of about 11 pounds – not to bad! The 25% group lost an average of 20 pounds….but the kicker is that the 25% group lost twice as much ab fat – now that’s great! As hard as they try, supplement makers just can’t match whole foods. Natural foods contain “compounds that interact in complex ways, and if you take one out, there’s no predicting how it will function on its own,” says Frank Hu, PH.D, an associate professor of nutrition and epidemiology at the Harvard School of Public Health. If you do take them make sure they are high quality and contain no “fillers”. Take home point: Don’t depend heavily on supplements. Get most of your nutrients from whole, clean foods! If you don’t get enough protein, you will lose muscle. If you lose muscle, you will gain fat. Eating enough will feed your muscles and help fill you up so you don’t overeat. You NEED protein! Return from "Protein" to "Exercise Guide To Lose Weight".